GoodTherapy.org recently hosted a successful and insightful Twitter discussion on the topic of gambling addiction and recovery. We were joined by many organizations and individuals who chimed in using the hashtag #ProblemGambling to share their thoughts, expertise, and resources with other participants. The March 4 chat honored Problem Gambling Awareness Month, and GoodTherapy.org wanted to help spread the word about the problems associated with gambling addiction and ways to help those affected by it. There are many aspects of problematic gambling—the warning signs, the psychological symptoms, and the various platforms for addiction. Even your cell phone might be contributing to a gambling problem these days, which is one reason harmful gaming and gambling behaviors are happening in teens and adolescents. The people who attended our #ProblemGambling chat touched on all these issues and more. Our discussion was so thorough and thoughtful that we have memorialized it with quotes and snippets from the hour. People joined us from all over the U.S., Canada, New Zealand, and Finland for this chat. Organizations and passionate people all over the world are spreading awareness of problem gambling, and in doing so, they are helping reduce stigma about this and other mental health issues. It was an honor to be joined by so many devoted individuals who are working to make help more available for those who need it and educate others about gambling addiction. The following questions are in the order GoodTherapy.org posed them during the chat, but responses are not necessarily in the order they were sent. Q1: What Are the Signs of Problem Gambling? GoodTherapy.org kicked off the discussion by asking about the signs and symptoms of problem gambling. These may be visible to others, but often a gambling problem is very internal. Co-occurring mental health issues may include anxiety, depression, or addiction to other activities or substances. Q2: How Is Problem Gambling Like or Unlike Other Addictions? 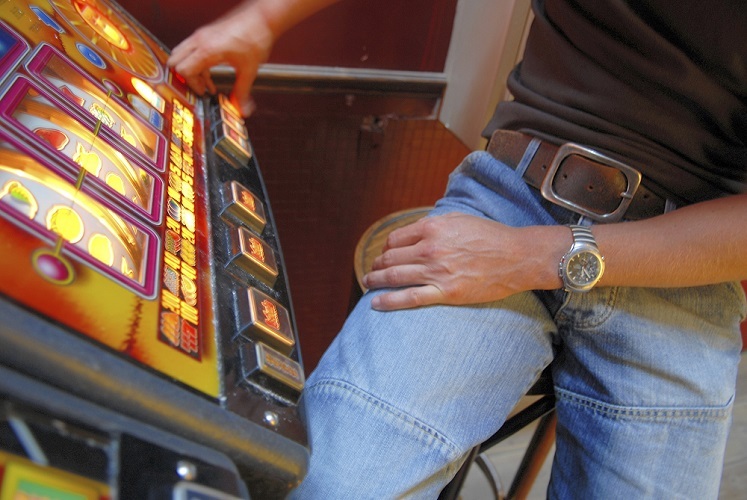 Like other addictions, problem gambling may increase the risk of suicidal ideation. But one issue is specific to gambling addiction: family and friends may not be able to identify the signals at all. As the New York Council on Problem Gambling (NYCPG) pointed out, gambling is sometimes known as the “hidden addiction”—unlike the signs of some substance abuse problems, gambling can’t be smelled on someone’s breath, and there are no urine tests for betting or gaming issues. Q3: How Can Therapy Help with Problem Gambling? People who have a gambling addiction may respond to many different types of treatments, including GamAnon and other support groups, cognitive behavioral therapy, and holistic methods. ECPG also mentioned motivational interviewing, which is an empathetic therapeutic approach that analyzes behavior and feedback in therapy sessions. NYCPG chimed in to say that, “MI is very effective in treating a number of addictions,” including problem gambling. Twitter user @mlgreeley pointed out that, while all these methods are helpful and effective, the first step for people raising awareness about gambling addiction and therapy is to reduce stigma around the issue. Only then will family and friends be more supportive of a loved one experiencing problem gambling, and only then will those individuals be more likely to seek help. Q4: What Are Some Habits of Responsible Gamblers? Set limits for yourself—both on your money and your time. Don’t gamble alone. Get friends and family to join you if you’re at risk of overspending. Learn about the gambler’s fallacy phenomenon, and don’t get caught in a trap of expecting positive outcomes. Understand the game(s) you’re playing. Know how it works and study your odds of winning so you have a realistic view of your chances. Q5: How Can We Reduce Gambling Addiction Stigma? Q6: How Can Loved Ones Help Someone with Gambling Addiction? With our final question we hoped to gather not only resources, but also hope for anyone who is helping a loved one cope with or heal from gambling addiction. The responses from our participants were inspiring and informative. The Problem Gambling Foundation of New Zealand had an especially insightful point that loved ones, as caregivers, should not hesitate to seek help and take care of themselves while attending to someone with a gambling problem. @Good_Therapy It’s just as important for those who are supporting someone with #problemgambling to know they can seek help. Thank you to all the individuals and organizations who joined us on March 4 for this hour-long discussion. Stay tuned to The Good Therapy Blog or follow us on Twitter @Good_Therapy for more upcoming chat opportunities with GoodTherapy.org. Feel free to leave a reply below with your suggestions for future chat topics!